Corsair is a well-known brand in the PC community with offerings covering coolers, power supplies, cases, keyboards and more. 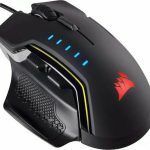 Gaming mice is another category the American peripheral brand has been dabbling in for some time now, with the Corsair Glaive RGB being one of its recent additions. 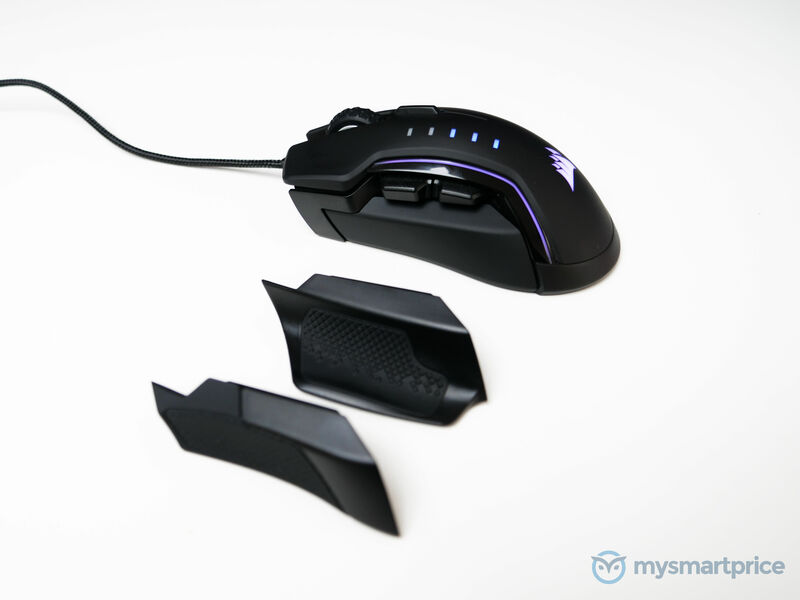 This gaming mouse is designed to offer customizations on two fronts: ergonomics and aesthetics. For the former, the mouse provides interchangeable thumb grips to adjust the overall holding style to what you are most comfortable with. 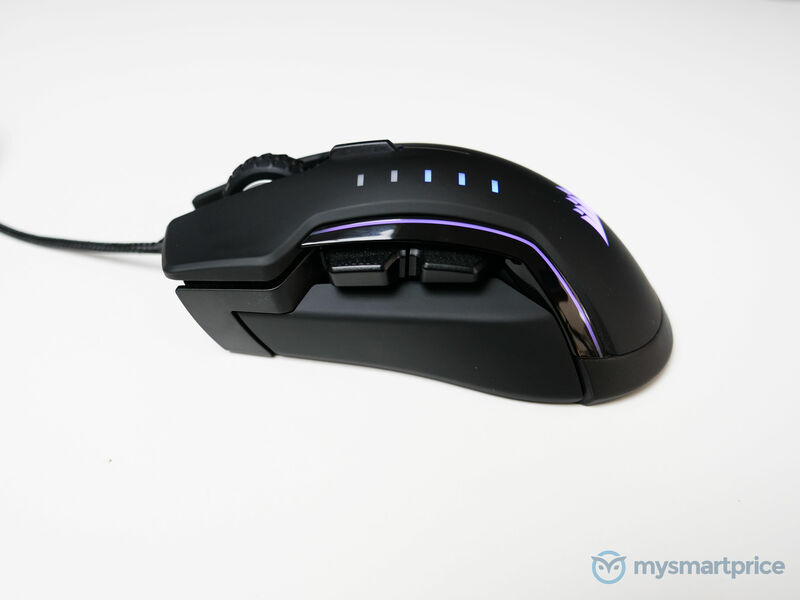 The aesthetics aspect is with all the RGB lighting effect you could ever want in a mouse. 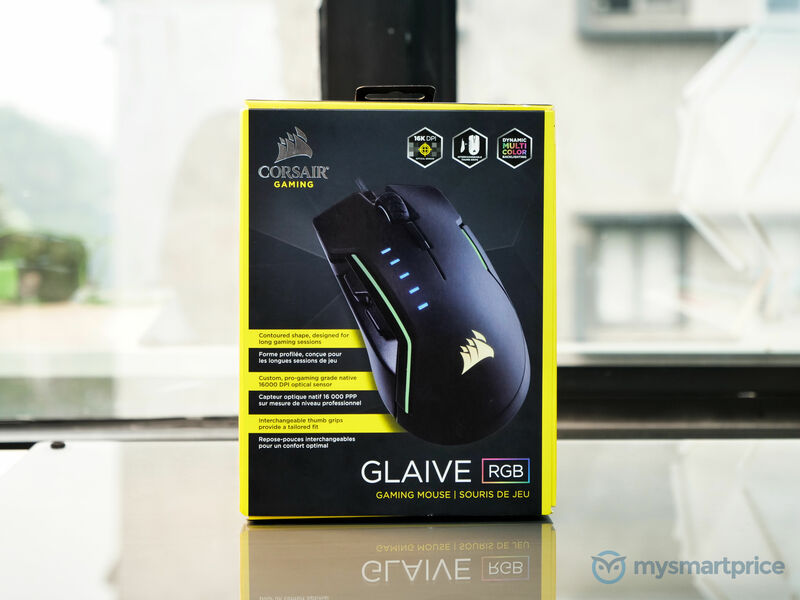 At the time of writing, the lowest priced listing I can find for the Corsair Glaive RGB in India is INR 5,000. This certainly puts this gaming mouse at a considerable premium. 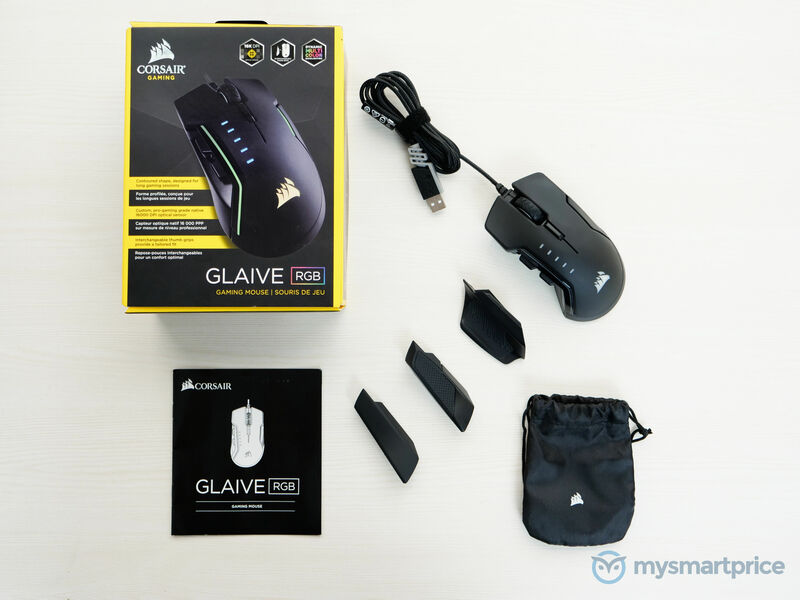 I got the opportunity to try out this mouse for about a month to understand how well it performs. Perfect size for large handed users. 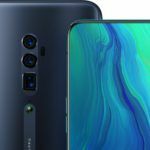 Excellent sensor with an incredibly high DPI level. iCUE allows a tremendous degree of control. Comfort level can be adjusted with interchangeable thumb grips. Not as many features as some of its competitors. The Corsair Glaive RGB has undoubtedly been designed with large hands in mind, something I am a fan of. 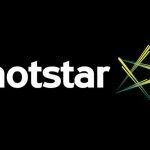 This side of the market is certainly underserved, and I’d like to see more such offerings from other peripheral brands as well. With the Glaive, you even get the option to further adjust its width and grip thanks to the easily interchangeable thumb grips. 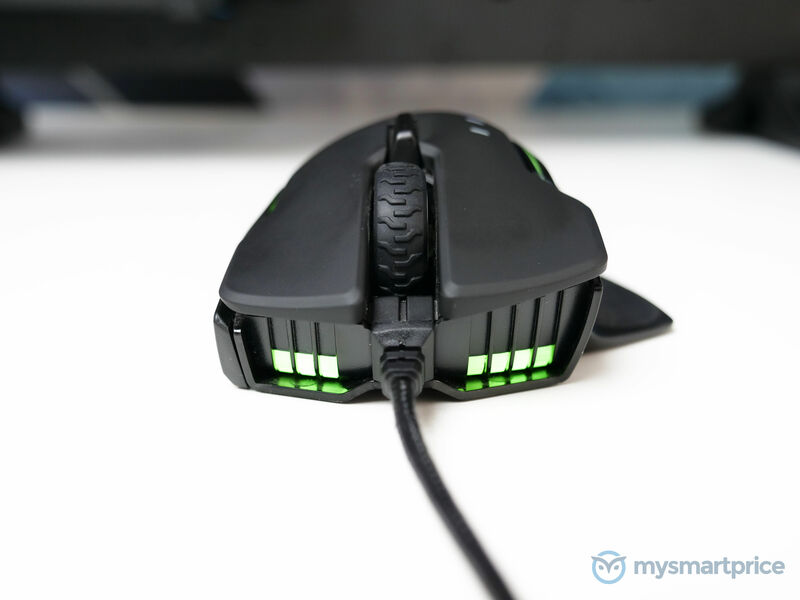 This is a 6-button mouse that features three RGB zones. 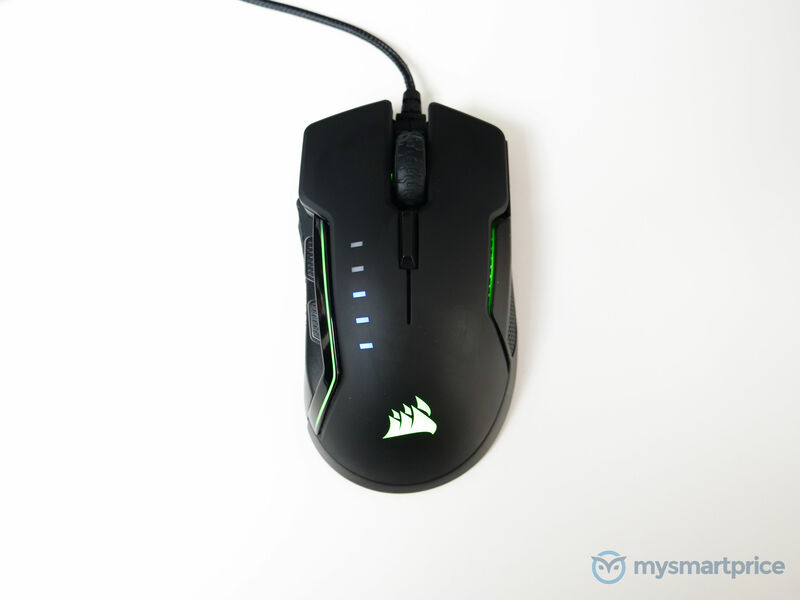 Tweaking the DPI levels and customizing the RGB lighting effects is quite simple with Corsair iCue software. 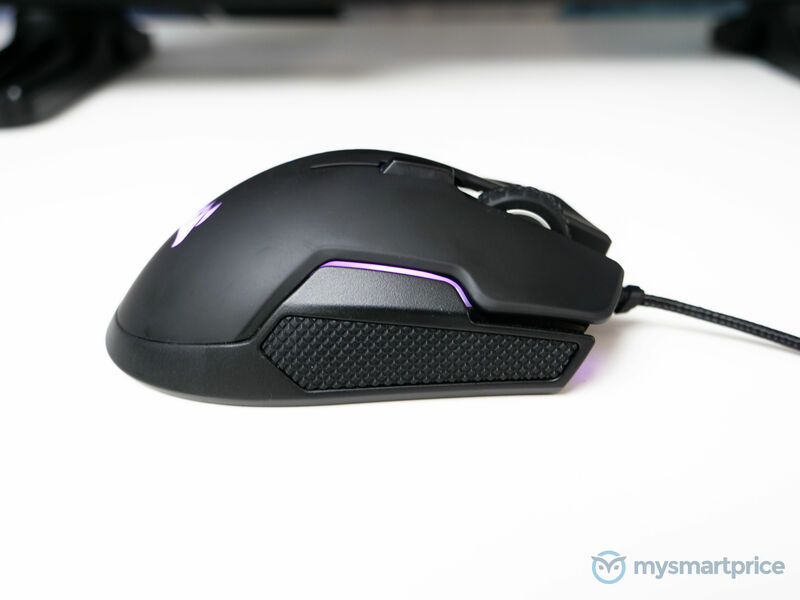 The mouse is built with an aluminum top and plastic body with a matte, soft touch finish over most of its surface. The wheel and right edge of the mouse have thick rubber textures on them. The bottom of the mouse houses four Teflon pads for a smooth gliding experience. Another plus is with the mouse cable’s braiding which feels quite sturdy. However, there are no weight adjustment options on this mouse. Also, the design and placement of the forward and back button on the left side of the mouse took some getting used to. There is a sizeable gap in the middle of the button, making it a bit odd to reach the back button. With that said, about a week into using the mouse, my hand posture evolved so as to have my thumb placed more comfortably over these buttons, and I forgot that ever had an issue with them. 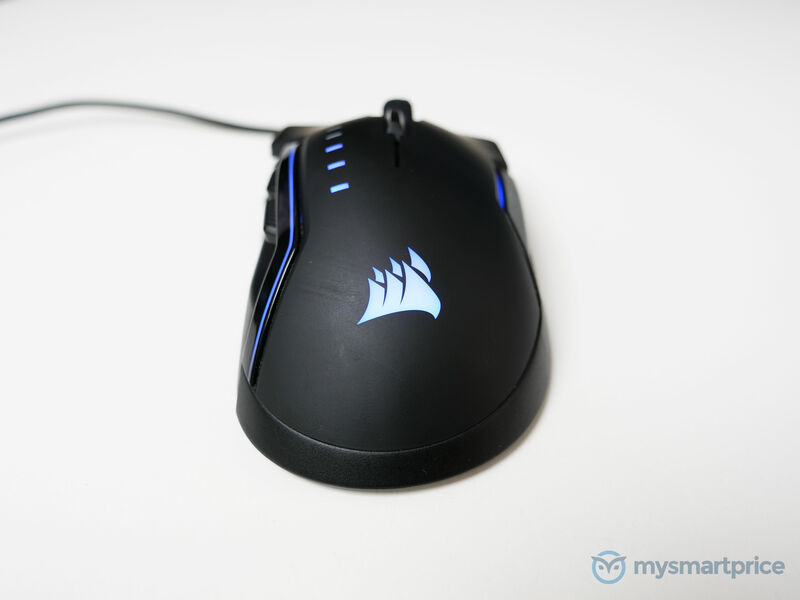 A Corsair logo sits where the center of your palm will fall over the mouse when holding it. This is also one of the three RGB zones, with the second being two striped sections on either side of the mouse, and the third being two sections located at the very front. There are also five led indicators that light up depending on which DPI setting you are adjusted on. 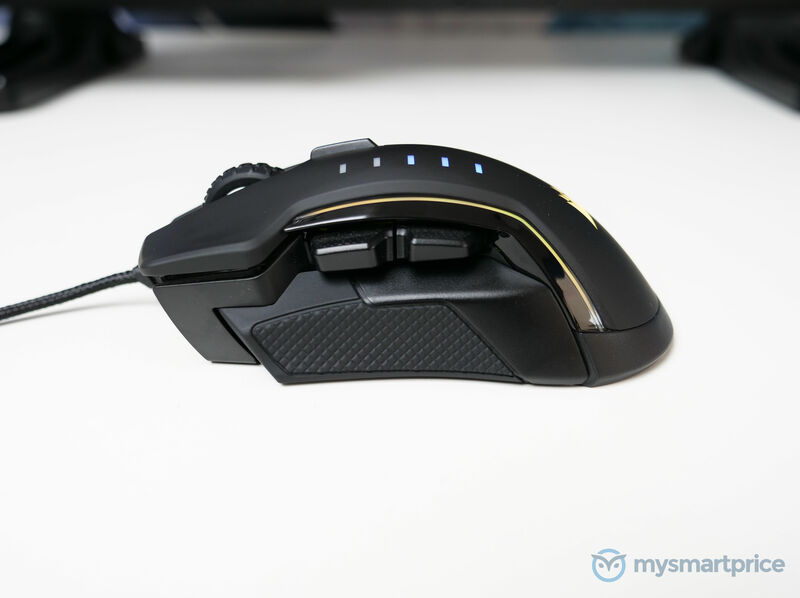 Coming to primary USP of this mouse, you can choose between one of the three provided thumb grips which attach magnetically to its left side. The default thumb grip is plain with a smooth plastic finish. The other has a similar rubberized texture as the left of the mouse and will also add just a bit more width. The third is the largest and protrudes outwards to act as a thumb rest. I used all three fitting extensively and felt the most comfortable with the second option. 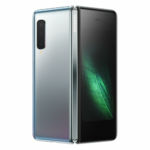 The Glaive uses a Pixart 3367 optical sensor which offers up to 16,000 DPI. Most users are likely never even to go close to this setting, but it is a great feature if you are one of those who need it. By default, Corsair doesn’t even bother to set the DPI this high, with the top DPI toggle only going as far as 9,000. On my personal gaming setup with a 1080p monitor, I was more comfortable staying in the 3,000 range when playing single player titles such as Assassin’s Creed: Origins. I only went as high as 6,000 when playing multiplayer shooters such as Fortnite. 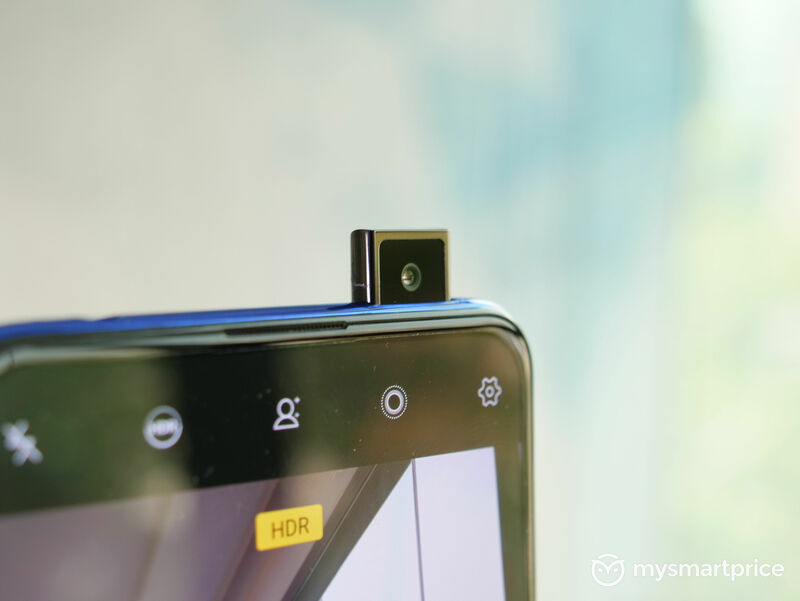 Long story short, this is an excellent sensor that never failed me in my time with it. There is even a calibration tool in iCue that will let you adjust the sensor’s sensitivity based on which surface the mouse is being used on. I missed the lack of a sniper button though, as the single DPI shifter button means you have to cycle through the entire DPI preset if for on the fly adjustments. But then again, you can set profiles using the software for custom DPI settings and lighting effects. The current preset is even saved on the mouse and will work even after you switch your PC and don’t have ICue installed. Corsair certainly has a winner on its hand for those looking for a sturdy and reliable option that fits larger palms. The sensor accuracy is excellent, build quality is superb, and the software allows granular control across many parameters. Competitive gamers will undoubtedly appreciate the 16,000 DPI levels, along with the grip style adjustability option. 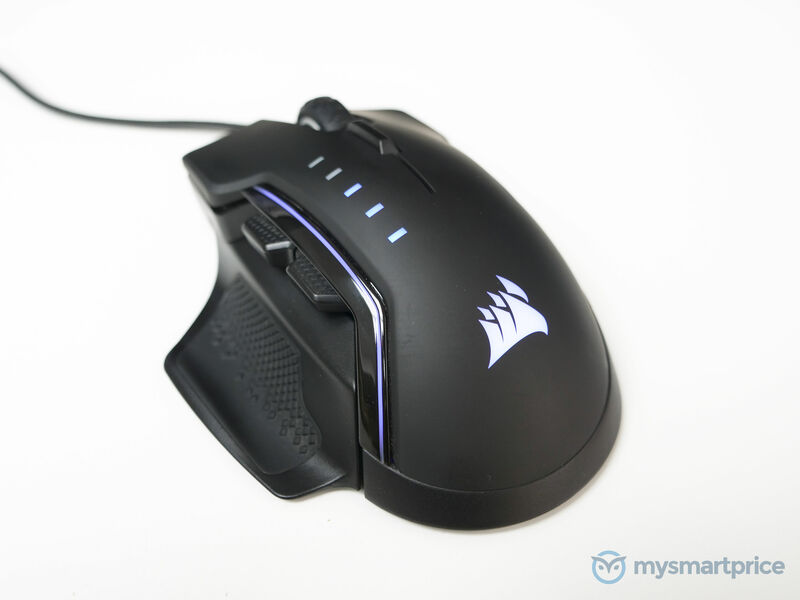 With that said, I found it hard to justify the INR 5000 starting price of the Corsair Glaive. At this price point, I expect a lot more features from a mouse. For INR 500 more, you could go with the Logitech G502 Proteus Spectrum RGB which offers adjustable weights, DPI up and down buttons, a sniper button, and even a hyper-fast scroll wheel. The only downside here is that the DPI maxes out at 12,000, which is again something most casual gamers will never actually use. 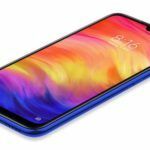 Unless you absolutely need the 16,000 DPI, you might be better off saving your money and going with a slightly more affordable option.